Calling all cookie monsters! 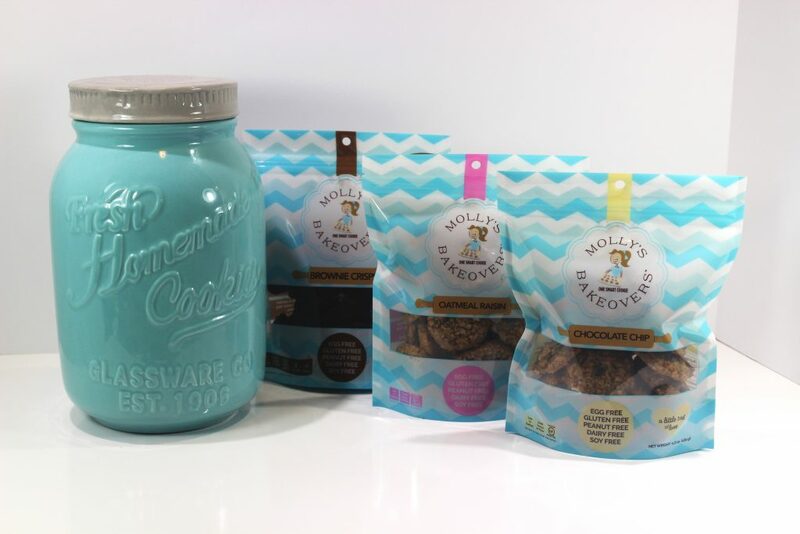 Molly Hamilton is changing the cookie game with her very own food innovation, Molly’s Bakeovers. Like me, this Mom is a cookie lover, but when it comes to her four kids, they all have food allergies. 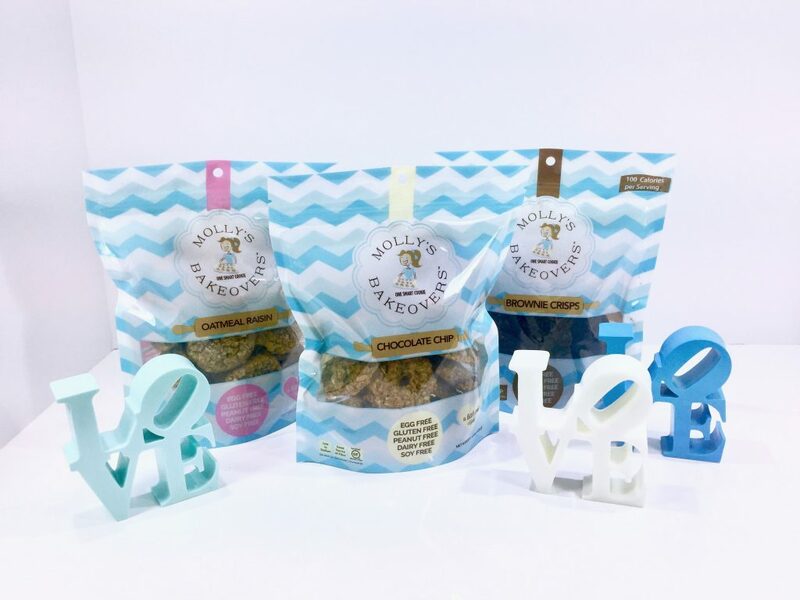 So, Molly took matters into her own hands and decided to make a treat her kids could enjoy, without the stuff that wouldn’t love them back. And in doing so, she made over the traditional cookie, with a cross between a cookie and granola bar aka “One Smart Cookie!” They are healthy, tasty and free of the most commons allergens that keep some kids from cookies! 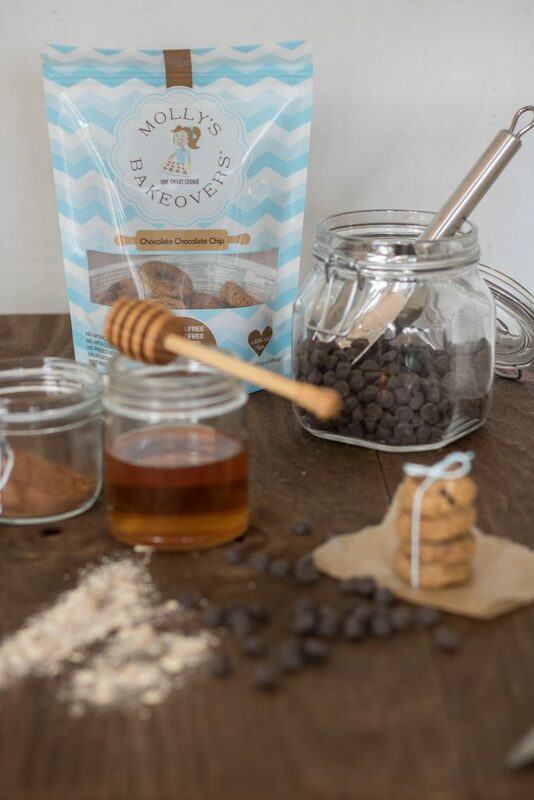 Bakeovers are gluten, dairy, egg, soy, and nut free, with no added sugar. The only “tree nut” is a coconut! Flavors include chocolate chip, oatmeal raisin, blueberry and apple pie. YUM!! These smart cookies are popping up on store shelves from California to Hawaii and now in the Bay Area and the East Coast too! Visit Bakeovers online for all the delicious details.